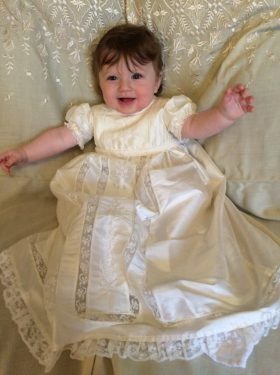 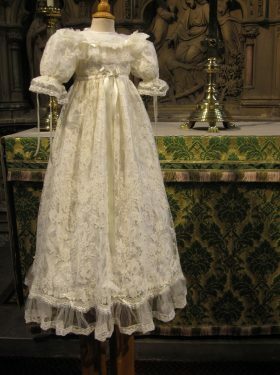 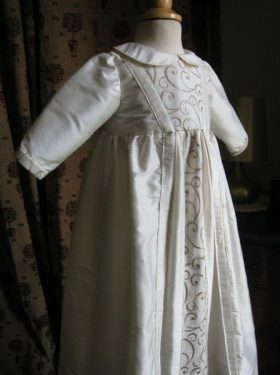 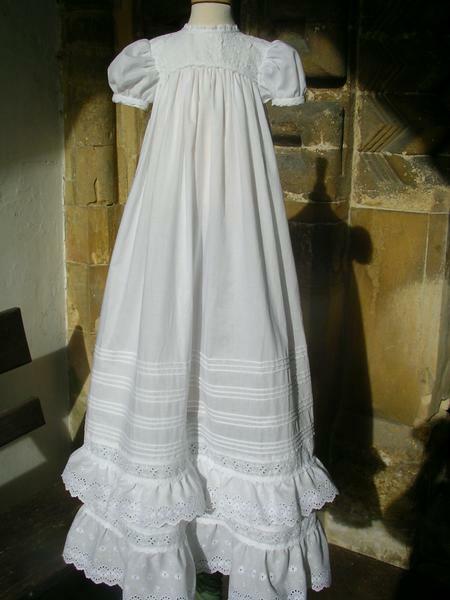 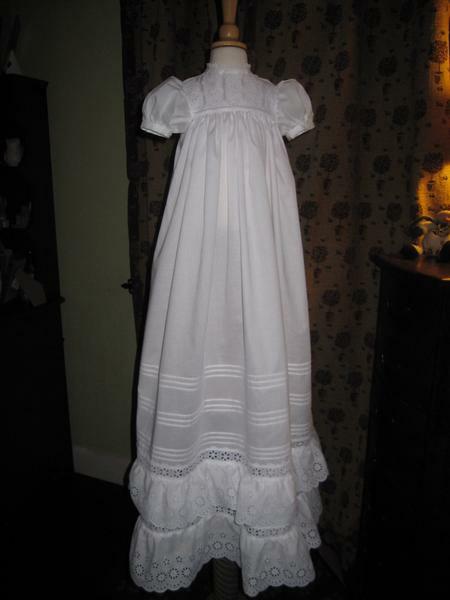 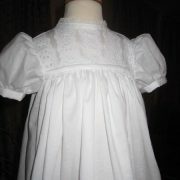 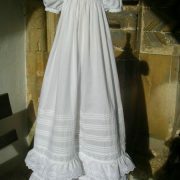 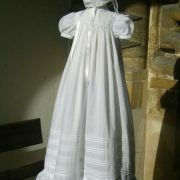 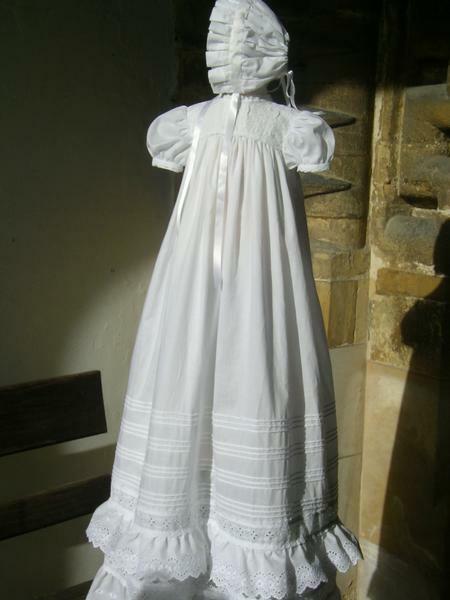 This girl's heirloom baby Baptism Gown is a splendid christening gown reminiscent of the Edwardian period. 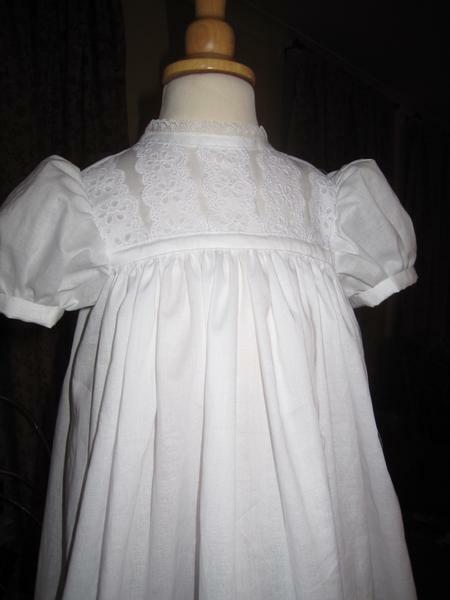 It has a lovely feel of elegance and quality about it, from the short, puffed sleeves that gather into delicate lace trimmed cuffs, to the full skirt with its layers and layers of gathered frills. 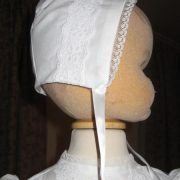 The yoke and shoulders are made from bands of Swiss lace and finished with a delicate lace neck trim. 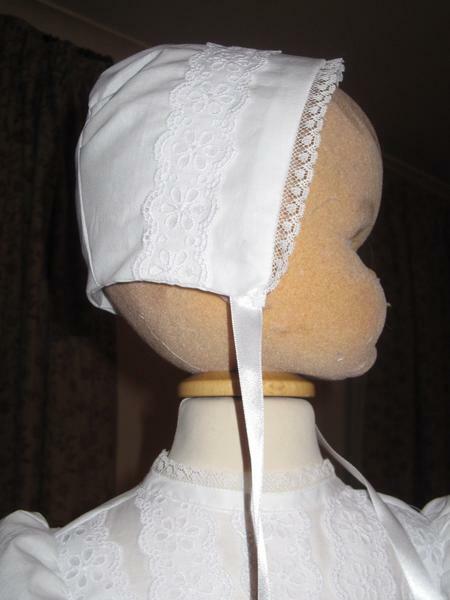 Narrow pintucking detail decorates the back of the yoke. 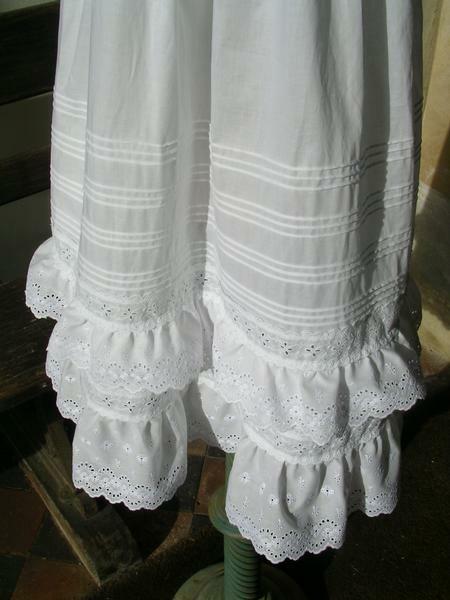 A full skirt, measuring 40 inches in length, is gently gathered into the yoke and falls away to the wonderful hemline detail. 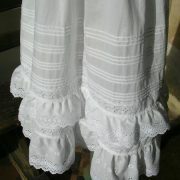 This consists of four bands of pintucking, lace trim and then two lovely layers of gathered lace with scalloped edging. 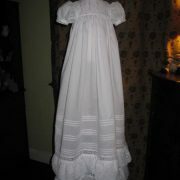 All in all, this is the most wonderful Victorian reproduction gown that I have created to date and is sure to delight. 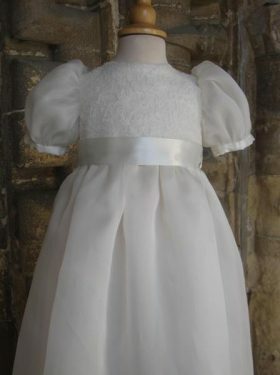 All Tegan Gown accessories are made to match the Christening Gown using the same cotton fabric and matching Swiss lace trim.